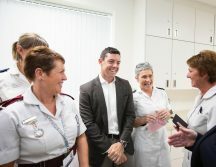 Fresh from his Ryder Cup success, Rory McIlroy joined staff at the Ulster Independent Clinic in Belfast today to officially open its new Outpatient Department which represents an ambitious £8.2m expansion of the private healthcare facility. The investment has included the construction of a new three-storey extension to the existing main hospital site, the upgrade of the adjacent x-ray department facilities and the addition of a new endoscopy theatre ensuring the Clinic can continue to offer the best patient care possible. The new wing also includes a new physiotherapy department and gymnasium, a range of new consulting rooms, an upgraded breast care facility, a new audiology room and a new 6 bed recovery ward. It also offers enhanced patient reception and administration facilities. The Ulster Independent Clinic in conjunction with the Mary Peter’s Trust and The Rory Foundation offers medical support to up and coming athletes across many sports. This involves injured athletes benefitting from the first-class facilities and treatment at the hospital. 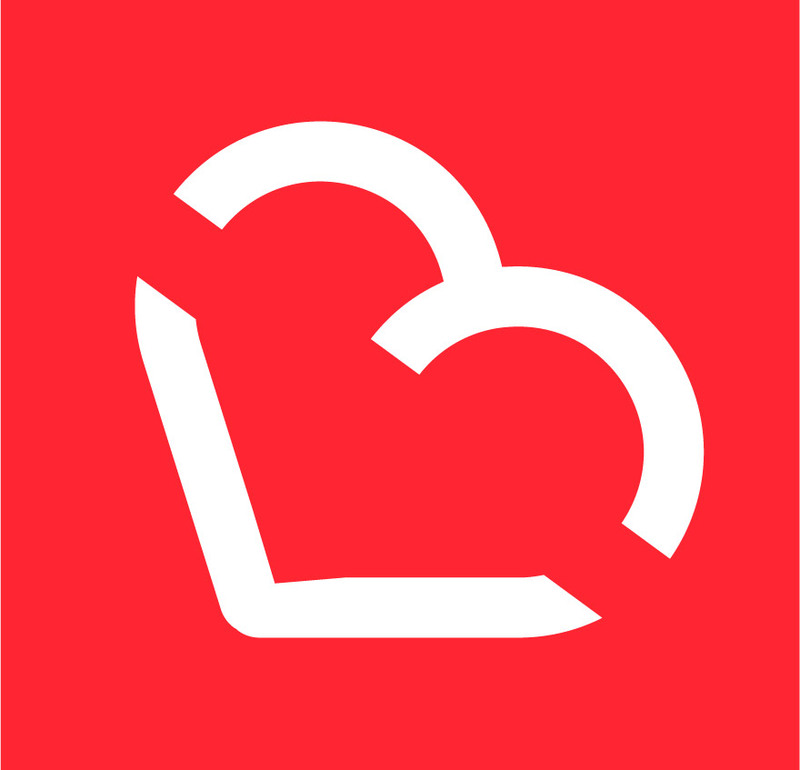 The programme is designed to get them an early diagnosis, so they can speed up their treatment and recovery and get them back to the top of their game as quickly as possible. Rory McIlroy Tees Off New £8.2m Outpatients Department at Ulster Independent Clinic Fresh from his Ryder Cup success, Rory McIlroy joined staff at the Ulster Independent Clinic in Belfast today to officially open its new Outpatient Department which represents an ambitious £8.2m expansion of the private healthcare facility. The investment has included the construction of a new three-storey extension to the existing main hospital site, the upgrade of the adjacent x-ray department facilities and the addition of a new endoscopy theatre ensuring the Clinic can continue to offer the best patient care possible. 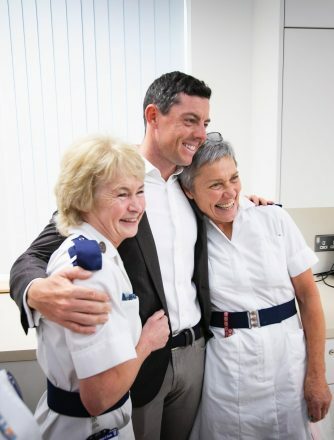 Pictured sharing a joke with Rory are staff nurses Carol Watson and Judith Patton.. Picture by Brian Morrison. Rory McIlroy Tees Off New £8.2m Outpatients Department at Ulster Independent Clinic Fresh from his Ryder Cup success, Rory McIlroy joined staff at the Ulster Independent Clinic in Belfast today to officially open its new Outpatient Department which represents an ambitious £8.2m expansion of the private healthcare facility. The investment has included the construction of a new three-storey extension to the existing main hospital site, the upgrade of the adjacent x-ray department facilities and the addition of a new endoscopy theatre ensuring the Clinic can continue to offer the best patient care possible. 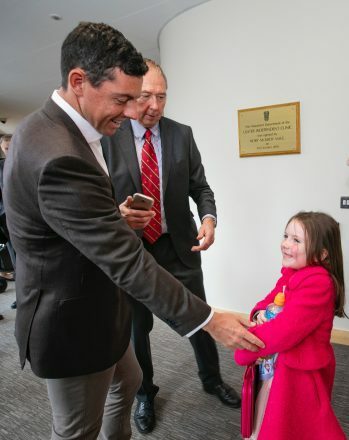 Rory meets Annie Gribben ( 6) from Armagh on his visit to teh Clinic. Picture by Brian Morrison. 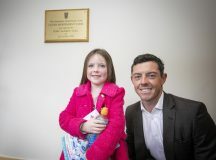 Rory McIlroy Tees Off New £8.2m Outpatients Department at Ulster Independent Clinic Fresh from his Ryder Cup success, Rory McIlroy joined staff at the Ulster Independent Clinic in Belfast today to officially open its new Outpatient Department which represents an ambitious £8.2m expansion of the private healthcare facility. The investment has included the construction of a new three-storey extension to the existing main hospital site, the upgrade of the adjacent x-ray department facilities and the addition of a new endoscopy theatre ensuring the Clinic can continue to offer the best patient care possible. 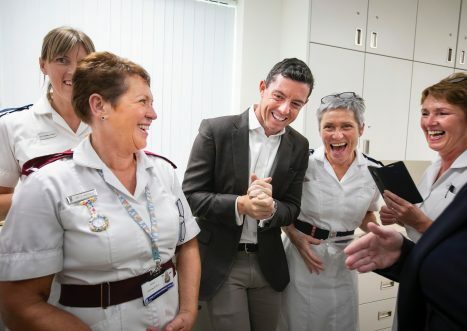 Pictured sharing a joke with Rory are Sister Carol Johnston, Rosie Fleming and Rosemary Armstrong. Picture by Brian Morrison. Oscar Murphy – Is this the best 13-year-old golfer in the world?